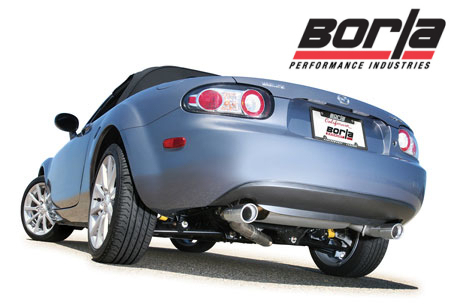 To get that full sports car experience your Roadster needs to sound sportier than a regular car. I don't mean it should be loud enough to wake the dead, when I say sporty I mean it should have a nice low down burble at idle rising to an aggressive bark at wide open throttle with a few pops and bangs along the way. Basically, it should put a huge grin on your face every time you go for a drive. There is a bit of compromise though with a new muffler system. You don't want something that is going to resonate at cruising speeds and cause an unbearable droney sound in the car, and you also don't really want to be adding extra weight if you can avoid it, but you do want it to look good and complement the car's overall look. 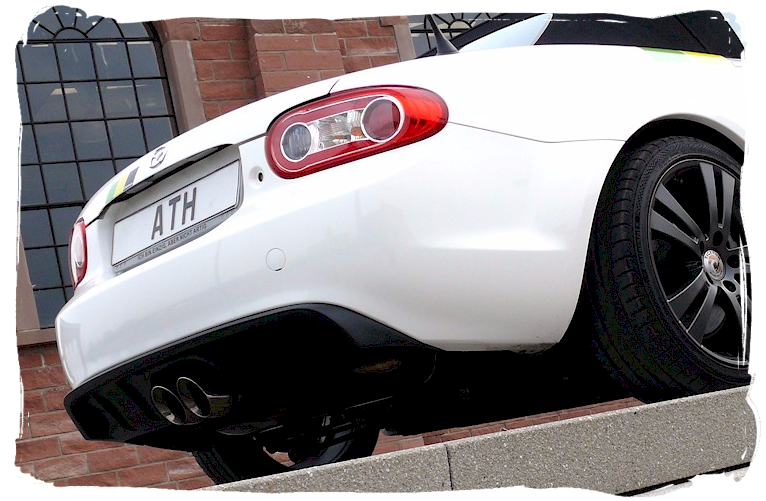 A less restrictive system may also free up a few Bhp. 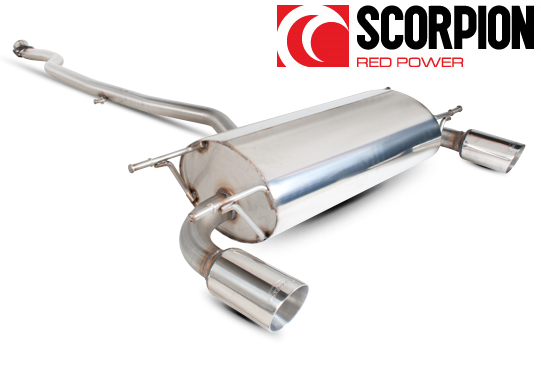 The Roadster is well served by aftermarket companies offering off-the-shelf exhaust mufflers. These range from simple lightweight single exit designs to elaborate works of art with prices to match. 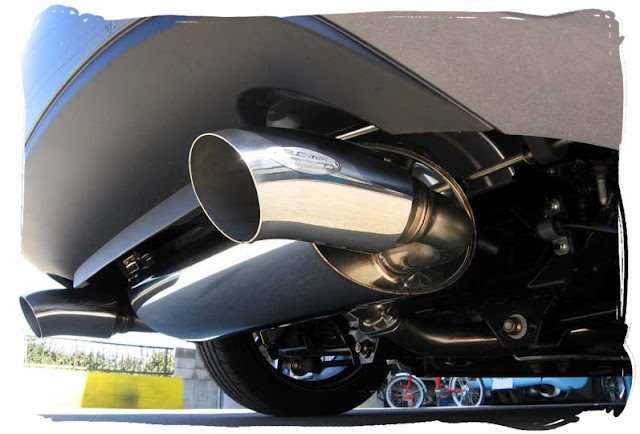 They all tend to be made of stainless steel and there's also plenty to choose from in terms of tail pipe design and positioning. 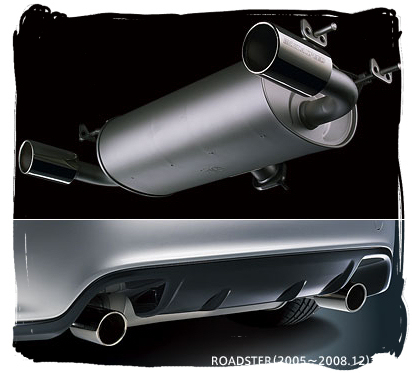 Do you go for large dual tailpipes? Small centre exit pipes? 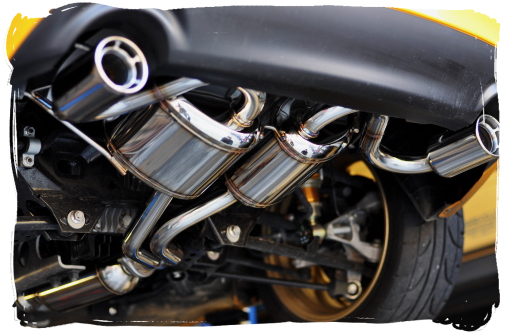 Four pipes? Oval? Slash-cut? The possibilities are endless so to help you decide I've compiled a list of some aftermarket options. Of course, if you decide to go full custom then you could do something unique like a single centre exit. 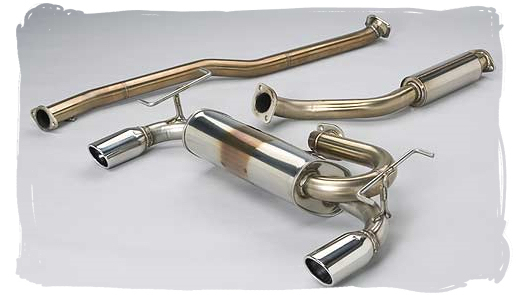 The NC's exhaust system consists of three main pieces which means you can upgrade it in stages to suit your budget. 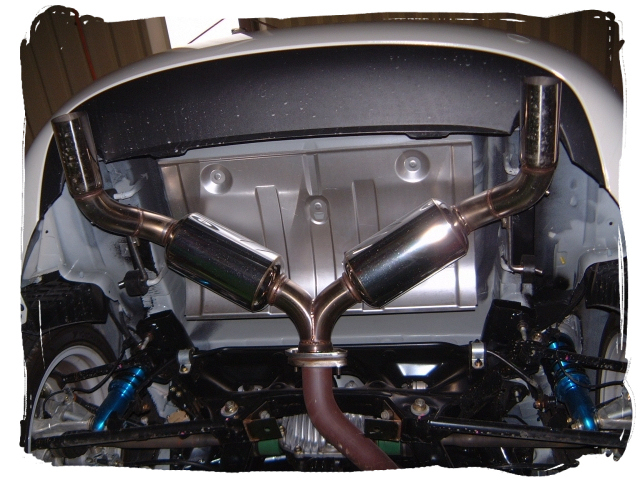 There's the 4-into-1 manifold, the middle pipe, and the rear muffler backbox. 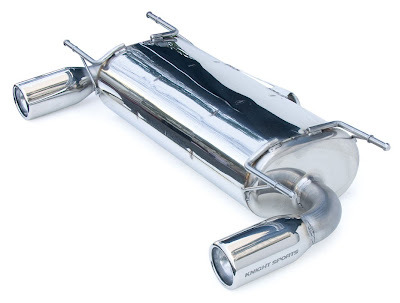 I'll be looking at manifolds and catalytic converters in another post, here we're just talking mufflers. The standard backbox is quite large and only has small tailpipes, a nice aftermarket system will give your car a sportier look from the rear, I think 3" tailpipes look just about right. First up, it's the Cobra Sport. 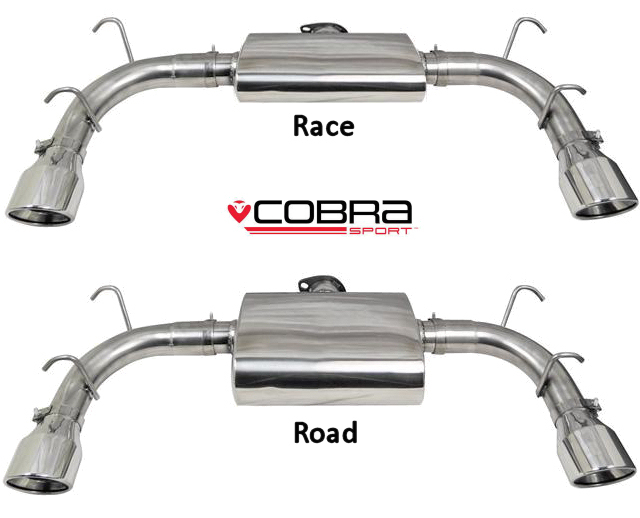 Cobra do a road version and a race version of their backbox, the road version has a larger silencer so is quieter and slightly heavier than the race version. 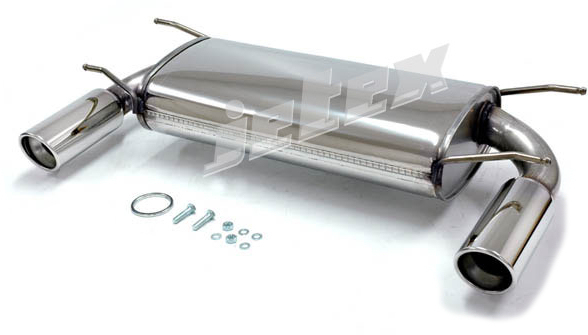 Jetex do a nice dual exit with a large silencer, looks well made. 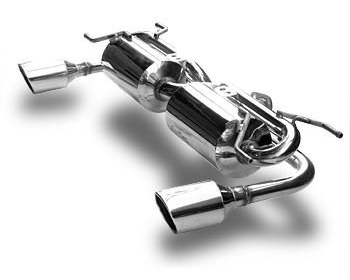 Scorpion's system includes a replacement middle pipe with the secondary catalytic converter removed. 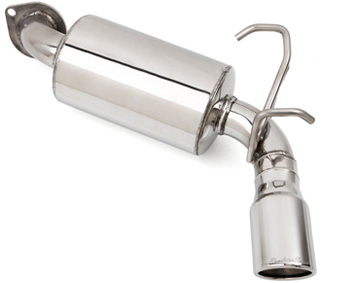 The Larini muffler has enlarged tailpipe trims so it looks nicer when viewed from the side. 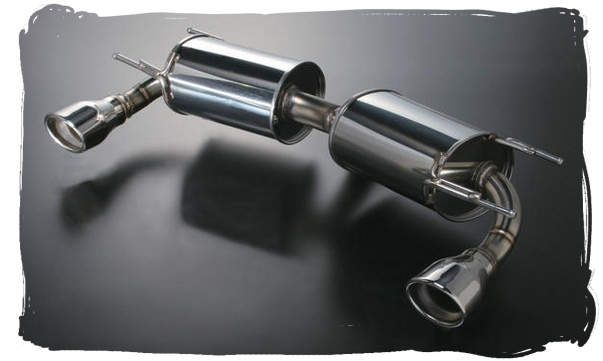 Larini also do a sports catalytic converter and a sports middle pipe. German company Bastuck have three different backbox designs. They do a dual centre exit with matching diffuser trim piece for the rear bumper which gives a similar look to the Open Race cars, or a full rear bumper lip spoiler with centre cutout. Another one from Germany this dual tip centre exit by ATH-Hinsberger also comes with a smart matching diffuser trim piece. Remus have an interesting four exit design, with a matt black finish on the pipework. 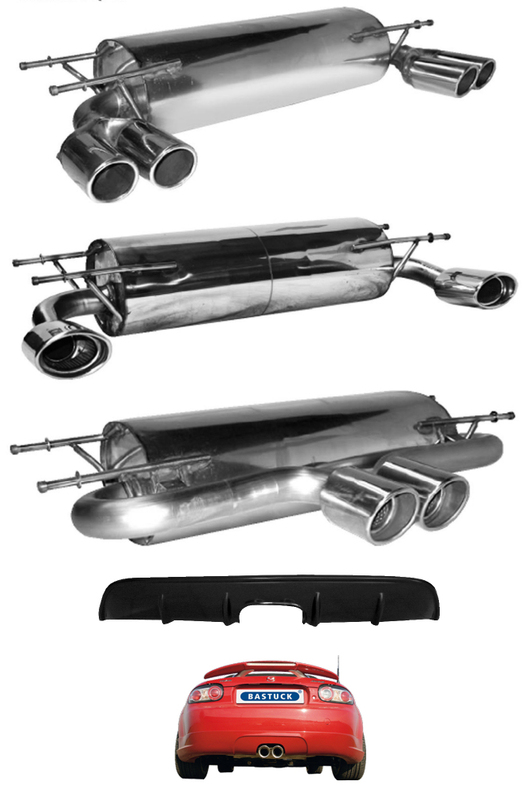 IL Motorsport have a range of designs available, they all feature the same black pipework style as the Remus system, they also do a cat-back half centre pipe that keeps the secondary cat. Borla's system works in a similar way. It's a cat-back but requires you to cut your stock centre pipe after the secondary cat and join the new pipe with a clamp. I had a Borla backbox on my old Classic Red NB and it sounded great. 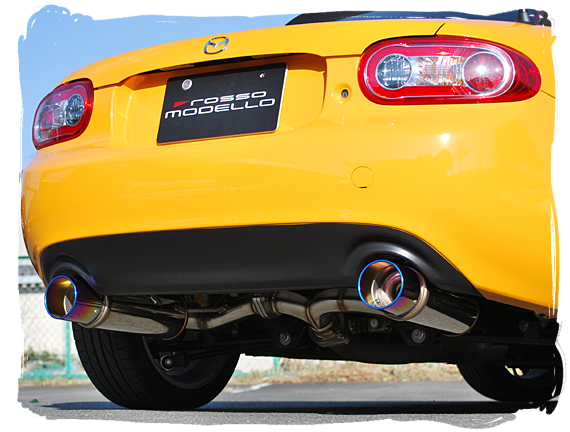 American Mazda performance specialist Racing Beat have a backbox for the NC that is part of their "Power Pulse" series. 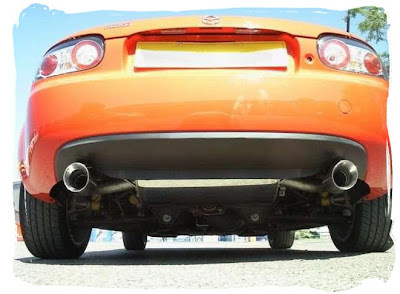 They do a standard version as well as one with slightly longer tailpipes for cars fitted with the appearance package rear lip. They also do a de-cat centre pipe with an optional silencer. 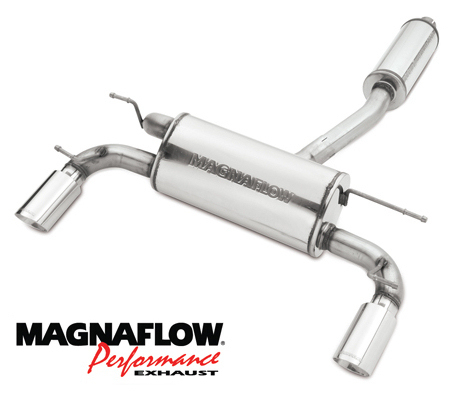 Magnaflow's system is another cat-back type that keeps the secondary cat in place. This backbox features 4" tailpipes. 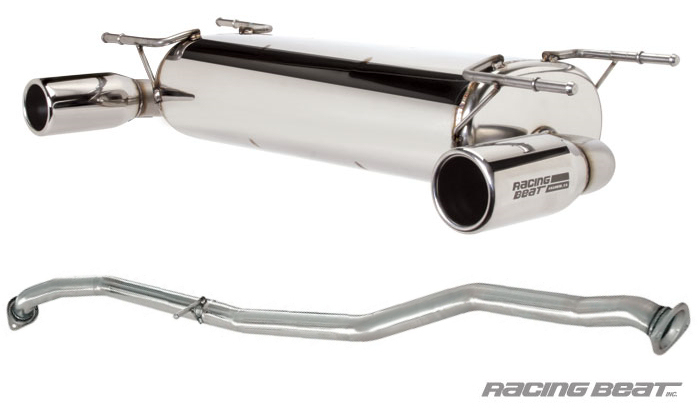 Goodwin Racing over in the USA have a good range of exhaust options. Their RoadsterSport range is well regarded and sounds great. There's a "Q" version (pictured) which features removable cone baffles to reduce the noise. 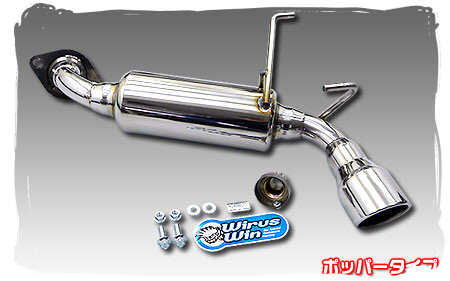 They also have a very loud lightweight single exit exhaust, and a centre pipe featuring a high flow sports cat. Next we have the Milltek Sport system, like the Scorpion this one is a cat-back and removes the secondary cat from the centre section. 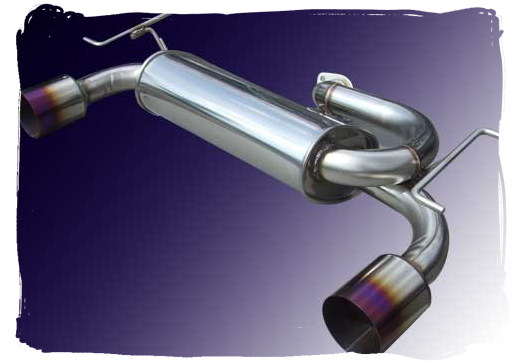 The Milltek centre pipe has an additional silencer welded in. 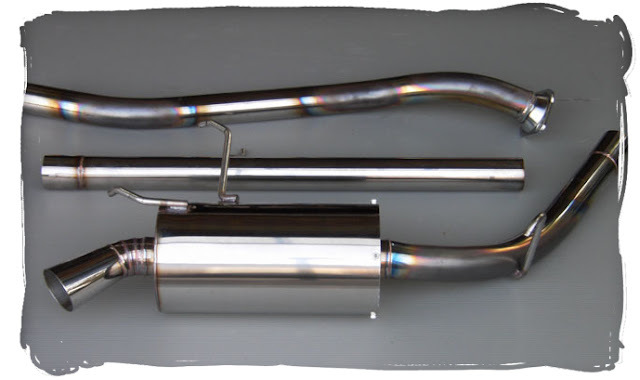 Piper (most famous for their camshafts) do a dual exit stainless backbox with a choice of five different tailpipe designs. 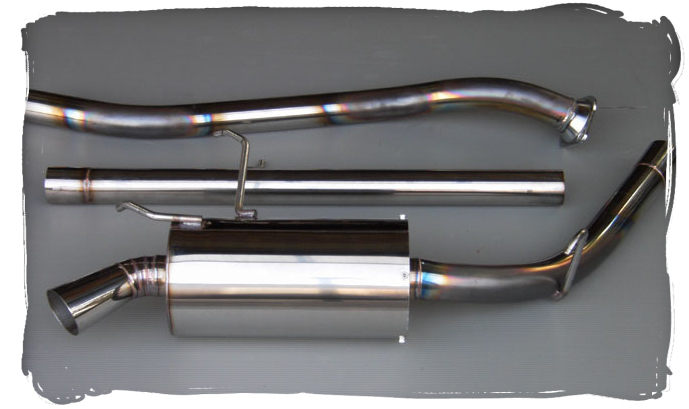 Blueflame also do a stainless cat-back system, this one comes with 3.5" tailpipes. 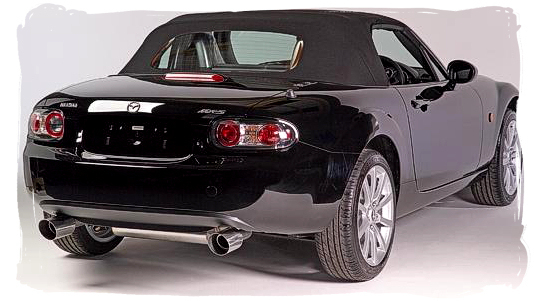 There was a factory upgrade Mazdaspeed muffler (part no. 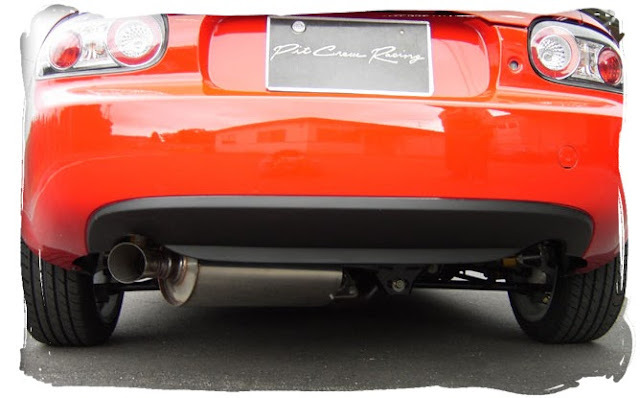 GRMS-8M-D14) that was tuned to give a more sporty exhaust note than the standard backbox, it features Mazdaspeed branded polished tailpipes and a large cylindrical silencer also with Mazdaspeed branding. There were also tailpipe trims available for the standard exhaust. 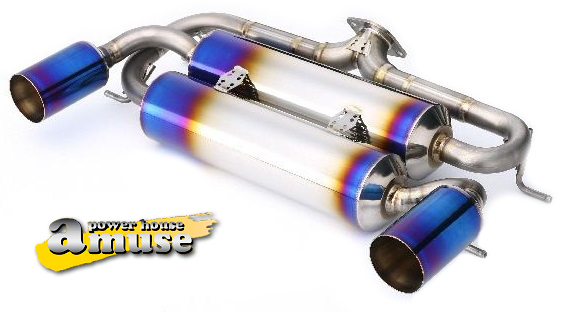 Another factory option, this is the Sebring sports exhaust. 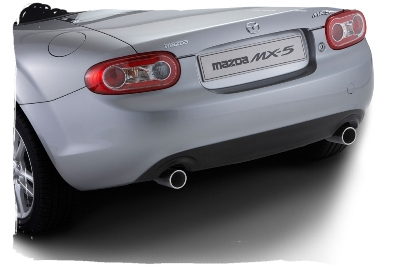 It features two chromed 80mm tailpipes. The part number for this is 4100-78-500. 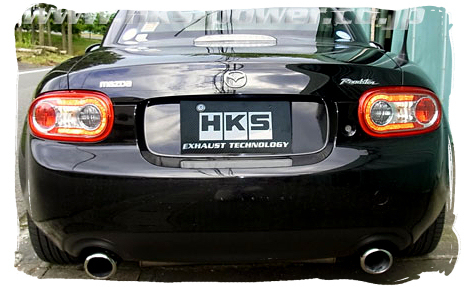 As you no doubt will have guessed, there is no shortage of aftermarket options from Japanese companies either. Here are the Trust/GReddy options. The GS backbox has a looping design with two silencers and a single exit, the GTS option is a dual exit with burnt effect tailpipes. 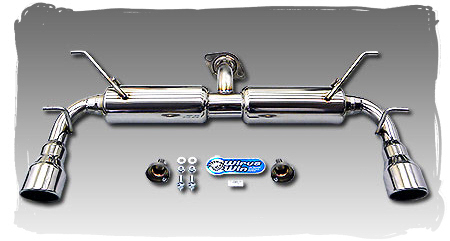 Wirus Win have a smart looking single exit that is available in left or right configurations and a choice of three tailpipe designs. They also have a nice simple design dual exit. 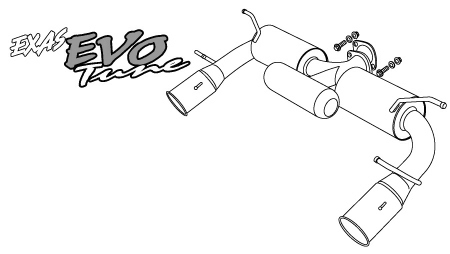 Kakimoto Racing have two muffler options for the NC, the Class KR which has one large silencer, or the R model which has two smaller silencers. They also do custom works such as this smart dual centre exit "shotgun" style. Pit Crew Racing have a de-cat system that features a large cylindrical silencer with a single exit. They claim it boosts peak power to 180PS when combined with their manifold. 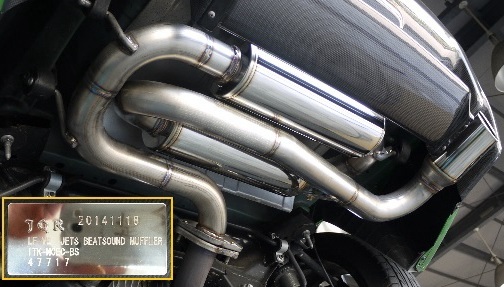 With what is quite possible the coolest name for an exhaust system ever, Tuckin99's "Hitman" duals give the Roadster a unique look from the rear. 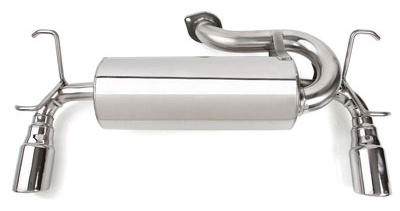 Here's a smart looking muffler from Suruga Speed, it features a double silencer looping design. 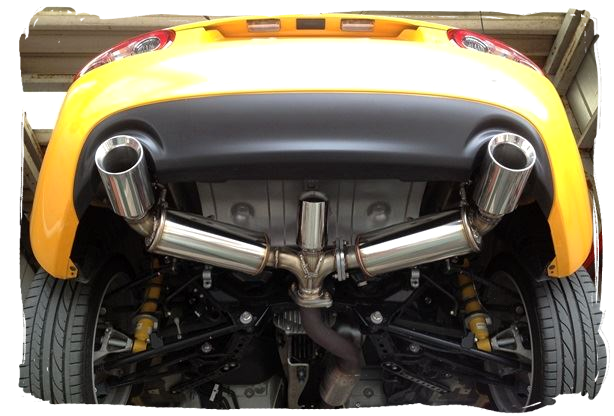 Knight Sports are mostly known for their RX-7 and RX-8 tuning but that doesn't stop them from offering this quality NC exhaust. 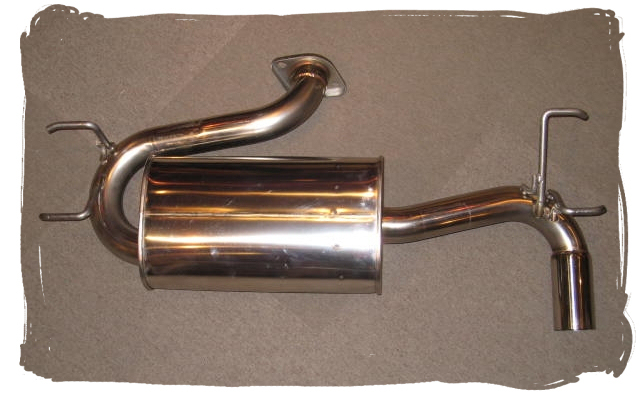 Over Drive are a rotary tuner using the Odula brand, they also do a few parts for the Roadster including this RS Spec muffler. If I had this system by Saclam, like the Amuse, I would be tempted to run without a rear bumper just to show it off. 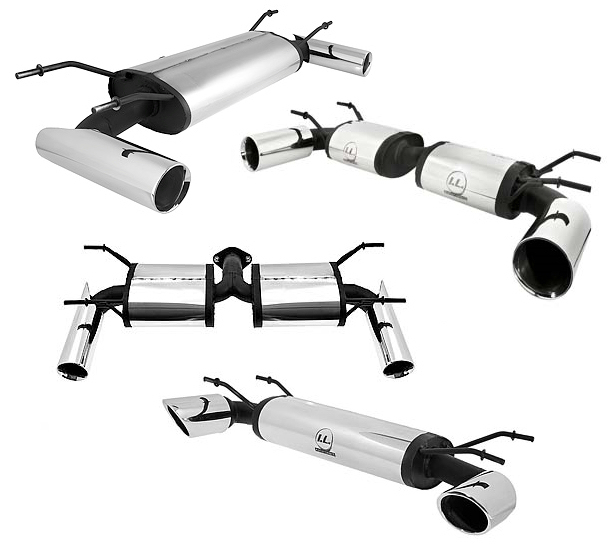 Integral Kobe have a choice of two mufflers, the single exit N-Zero Spec, and the dual exit Clubman. The AutoExe muffler uses a twin silencer design with rolled finish tailpipes. Here's a nice stainless de-cat system from Au-To Bahn Sports. 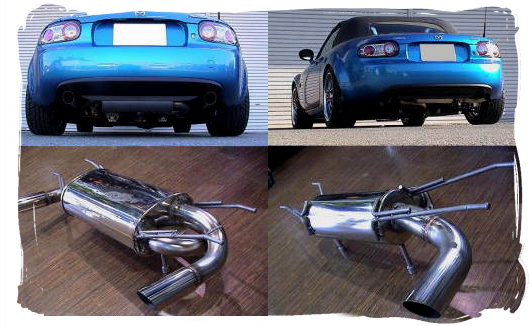 RE-Amemiya have a backbox named Dolphin, it's a single silencer type with polished tailpipes that curve down slightly. 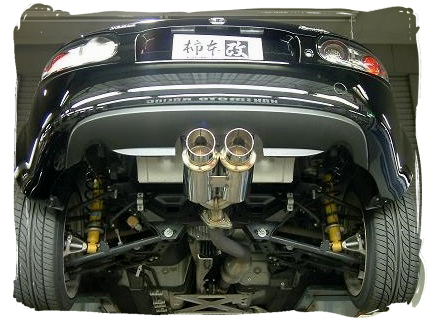 Car Make Corn's have two mufflers for the NC. The first is a simple dual exit design featuring angled silencers, the second a single exit. 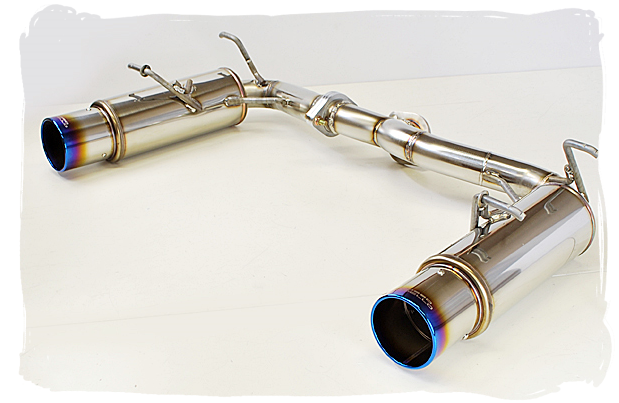 Here's the Exas Evo Tune muffler from GP Sports. 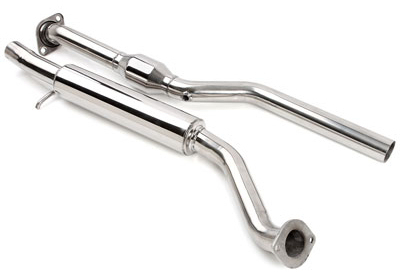 It features dual stainless tailpipes with 3.5" titanium tips, and an extra 3rd silencer. This one from Rosso Modello is a dual exit that comes in two sections for lower postage costs. 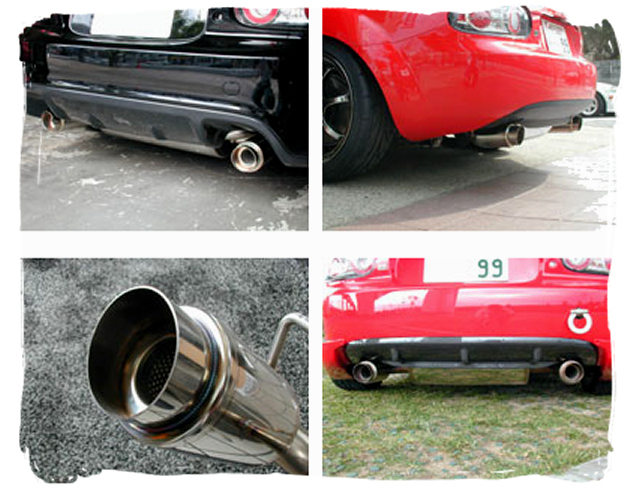 You can also choose a range of coloured tailpipe tips. The HKS Legamax Premium has a similar design to the AutoExe with two seperate silencers and some pretty chunky looking tailpipes.